We’re all becoming educated about the dangers of distracted driving and how it’s one of the leading causes of automobile crashes. The National Highway Traffic Safety Administration even reports that distracted driving claimed 3,450 lives in 2016 alone. In Part 1 of this series on damaging myths about distracted driving, we looked at the following myths: Myth 1 – Performing seemingly simple tasks behind the wheel aren’t dangerous. Myth 2 – Distracted driving only affects teens and younger drivers. Myth 3 – Texting and how driving isn’t illegal in Phoenix. Now, let’s finish taking a look at the rest of the most widely known myths about the dangers of distracted driving. Myth 4: Answering the Phone Only takes a Second. Unfortunately, many people underestimate the time it takes to find your phone, pick it up, look at it, see if it’s a text or call, and then decide what to do about it. That’s more like 5 seconds. Well, it has been determined that taking your eyes off the road for five seconds while traveling 55 m.p.h. would be equal to the traveling the length of a football field. Myth 5: If They Didn’t Want Us Using GPS They Wouldn’t Have Put It In Our Cars. GPS nearly comes as standard equipment in most makes and models of cars these days. But, just like using our smart phones, using an onboard GPS system – whether stock or after market – has proven to be a distraction for drivers, too. 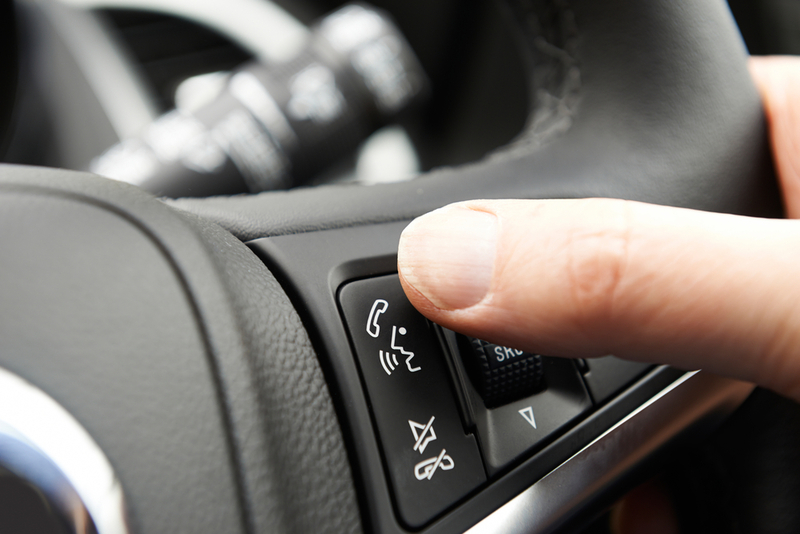 Just like our phones, the GPS system requires our eyes, hands, and brains to operate, turn on, and input something. It’s best to set up your GPS before putting the car into gear and heading down the road. Myth 6: I Use Bluetooth Or A Hands-Free Phone, So I’m Safe. Do you suspect that the driver you were in a car accident with was negligent because of being a distracted driver? Did you take a mental picture of their distracted driving? If so, contact a Phoenix Car Accident Lawyer at the Law Office of Richard Langerman. We’ll conducted a separate investigation and look over police records, including the incident report to see if the officer made any mention of the driver being distracted. Don’t put off seeing a Phoenix car accident lawyer, because the sooner we’re able to get your recollection of events, we can start building a solid case. Our first visit will be at no charge, so call us today at (602) 892-4294 or send us an email using the form at the bottom of this page. 1“Hands-Free Phone Calls Are Distracting Too” published in CNN Money, Oct. 2014.